Parks and play spaces. Greenways for walking and biking. Community gardens and urban farms. Restored habitat and waterways. Green infrastructure for stormwater management. Across the country, the Groundwork USA network works hand-in-hand with local residents and partners to transform brownfields into the kinds of assets healthy communities need and want. Since 2000, Groundwork Trusts have reclaimed or improved 734 acres of contaminated, vacant, and derelict property, helping to drive long-term economic development and enhance residents’ health and quality of life. 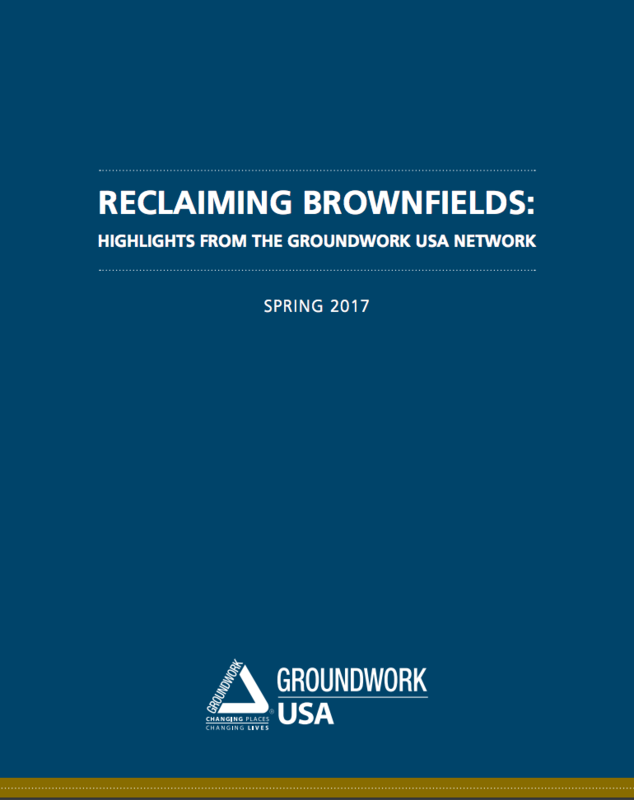 This report highlights some of the most exciting brownfields planning and reuse projects Groundwork Trusts are undertaking nationally and outlines the ways Groundwork USA is helping revitalize brownfields-affected communities. To keep up with the latest news and announcements from Groundwork USA, please sign up for our e-Newsletter below. We only email periodically, and we will never make your information public.